Ousmane Dembele has decided that he will reject any approach from Arsenal and stay at FC Barcelona this summer, according to reports in the Spanish media. Spanish newspaper Mundo Deportivo, as quoted by Metro , is reporting that the 21-year-old France international has decided to stay at Camp Nou and fight for his place in the first team. Dembele has been linked with a move away from FC Barcelona this summer and Arsenal have been credited with an interest in bringing him to the Premier League. However, the report now claims that Dembele has held talks with FC Barcelona chiefs in recent days and that he has told them that he wants to stay at the club for another season. 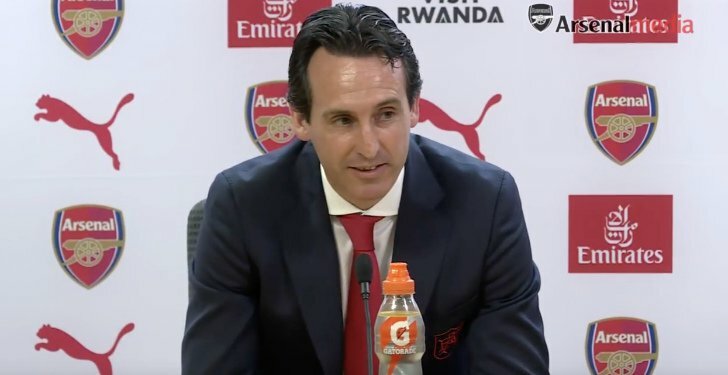 The same article says that new Arsenal boss Unai Emery was keen to sign a new winger before the close of the transfer window, but the Gunners will have to offload some players to fund any further transfer activity. Arsenal will be looking to be one of the main contenders for the Premier League’s top four next season after they ended up in sixth place and without a trophy in Arsene Wenger’s final campaign in charge last term.